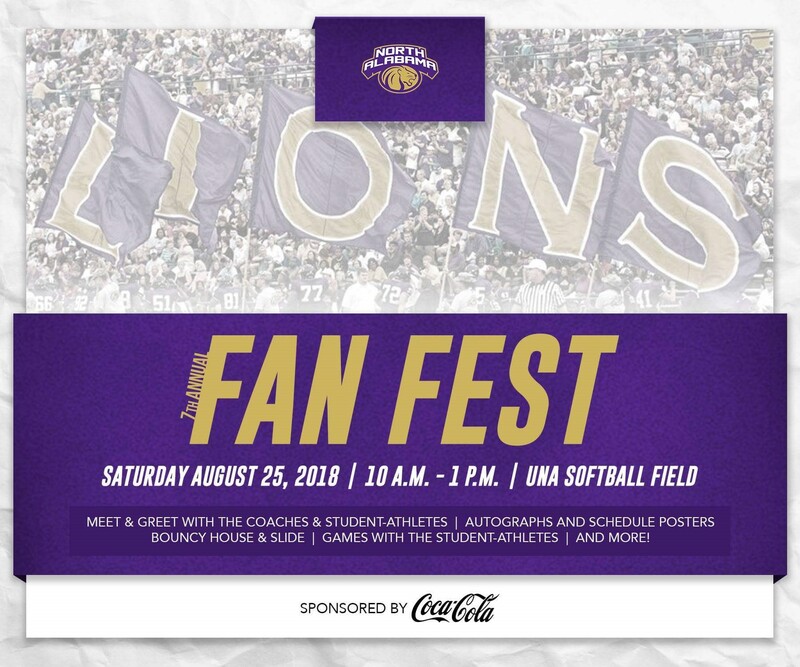 2018 marks the 7th year that Coca-Cola will sponsor the University of North Alabama Fan Fest! This event is all about supporting our local University – the University of North Alabama – and the student athletes that make us so proud! We partner with the University as a way of encouraging the community to be excited about, and engaged in, the University’s athletic programs. We will have a lot of fun engaging with the athletes, cheerleaders, mascots, coaches and students. All the fans will have opportunities to get autographs from their favorite players, and they can snag a game schedule poster, too. There will be games with the student athletes, a bouncy house and slide for the kids, and much more! Please come out and join Coca-Cola and the University of North Alabama on Saturday, August 25th, 2018 from 10:00am to 1:00pm. It will be a great day in the Florence community, and we look forward to seeing you there!